This is a must have little gadget for all DSM2/DSMX users. 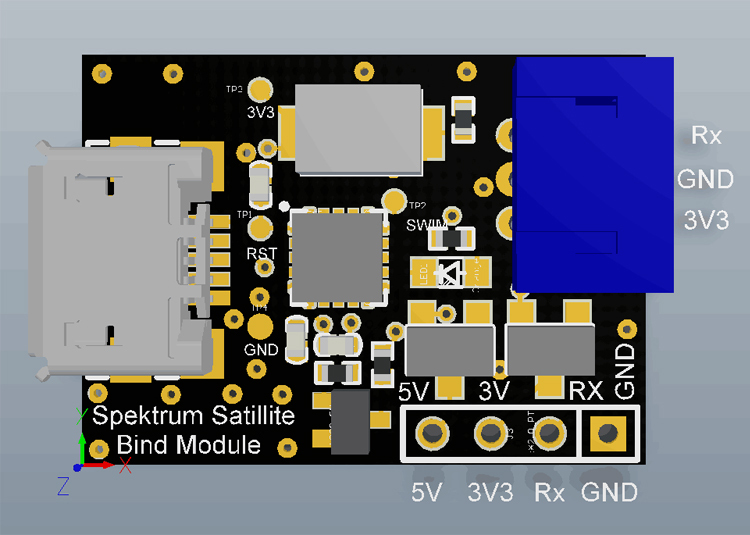 It lets you effortlessly bind a satellite receiver to your transmitter without needing to use a regular receiver or CLI commands with a flight controller. All you have to do is put your radio into bind mode like normal and then connect the bind tool with your receiver and USB power supply - the USB connection is just to provide power, a computer isn't required. The tool can be used with both DSM2 and DSMX receivers; by default it is ready to use for DSMX, to use with DSM2 hold the button whilst connecting the USB (a single flash indicates DSMX mode, a double flash indicates DSM2 mode). The tool supports both 5volt and 3.3volt receivers.